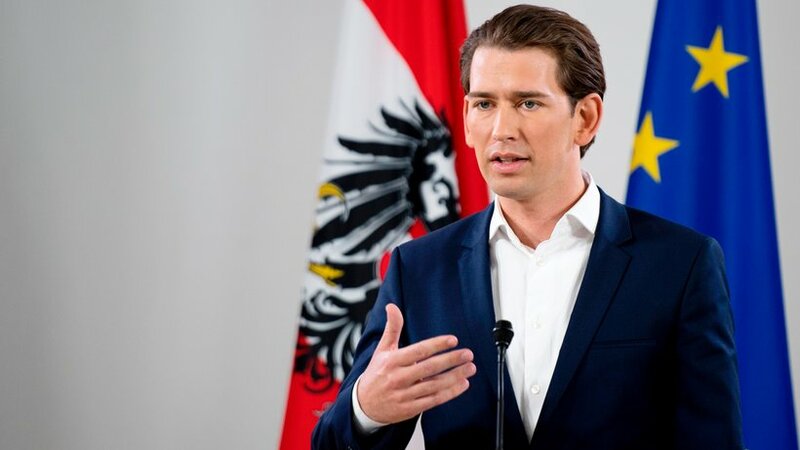 The US President will find Sebastian Kurz sympathetic at their first meeting, says Helene von Damm. Foreign Minister Kneissl will not be present at the visit. Transfer rumors rejects them. The former US ambassador Helene von Damm expects a good course of the meeting of Chancellor Sebastian Kurz (ÖVP) with US President Donald Trump on Wednesday in Washington. “I think Trump will love it,” von Damm said in an interview with the APA. Trump is “curious” about the young and dynamic politician who, like him, “turns everything around”. Trump wanted to “not only talk to politicians who have already experienced everything,” said von Damm. “He likes to have ideas from young people who are fresh,” she said, referring to the influence of Trump’s son-in-law, Jared Kushner, in the White House. The native Austrian was from 1983 to 1986 US President Ronald Reagan American Head of Mission in Vienna. For Reagan she had previously worked as a fundraiser, where she also met Trump. Von Damm pointed out that it is now more difficult for Austria to get the attention of Washington. “In the Cold War, Austria was important,” she pointed to the strategic position of the neutral state between the West and the Communist Eastern bloc. In addition, Chancellor Bruno Kreisky (1970-83) was involved in the Middle East conflict and had been “a really interesting personality.” “If you are a small country, then you must attract attention,” explained the ex- ambassador living in Vienna. At the first reception of an Austrian chancellor in the White House for 15 years, Foreign Minister Karin Kneissl will not be present. This has caused speculation in the media about a possible transfer. Kneissl rejected the rumors on Wednesday. “I read these rumors with a smile, you see, I’m standing here,” said Kneissl to the Council of Ministers on Wednesday. Such history would arise because of ignorance, the minister said. The head of government is not accompanied by the Foreign Minister, but only the President. She has many meetings preparing for the Chancellor’s visit to the White House. “I’m always amazed by the ignorance that prevails here,” says Kneissl.